It seems that world is getting busier nowadays. There are many things that people have to do and worry about at home and at work. Many of us have found life more and more stressful than ever before. Travel makes life more worthwhile. Families seek vacations more often to have time for each other and to get relaxed. Travel helps them to keep it clear in mind that they have a family. Businesses seek holidays for their good staff, their loyal customers or their business partners. Travel improves the staff’s working productivity. Meetings and incentives are important drivers of an organization’s growth and profitability. They achieve this by intensifying relationships and increasing productivity. Because no meeting or incentive can be compared to another, we are committed to preserving each event’s unique character and goals, with focus on originality and quality. No matter where your next meeting or incentive will take place. Once you have worked with us, you won’t have to teach us again about your brand, target groups and “raison d’être” when planning your next event. You can expect the same personal attention and tailor-made services from all our offices around the world. Good travel programs run by experienced travel experts at Avansa Travel can help to bring individuals together into one unanimous team. Avansa Team has dedicated all of our experience, professionalism and expertise to provide the quality travel services for families as well as businesses. Winters are mild and pleasant with an average 14 °C air temperature. Summers are warm and dry with an average air temperature of 26 °Celsius. Diverse and lush Mediterranean and sub-tropical evergreen vegetation covering the coast and islands is a result of the pleasant Mediterranean climate. A large part of the coast features vineyards, olive-groves and citrus fruits. Dubrovnik is the center of the Dubrovnik-Neretva County with 50.000 residents. The people are warm, helpful and friendly to foreigners. Tourism has a long tradition and the main occupations of residents include gastronomy, hospitality and seafaring. The Dubrovnik Airport is only 22 km away from the Dubrovnik Old Town. International air carriers connect Dubrovnik with all major cities in Europe. Croatia Airlines is a national air carrier which directly connects Dubrovnik with European cities via Zagreb. The well-known air carriers operating to Dubrovnik include Lufthansa, Iberia, Austrian Airlines, Finnair, Air Malta, Malev, Germanwings, Air Lingus, Blu 1, Vijeling, Monarch, Europe Airpost, Easyjet, Jet 2, BMI baby, Luxair, Air Berlin, etc. There are ferry connections from Dubrovnik to other harbors on the Croatian and Italian coasts (Bari,), and the Adriatic motorway is connected with Croatian highways, making Dubrovnik accessible by car. Dubrovnik’s exquisite architecture, historic monuments, museums, galleries, historical venues and its perfectly preserved medieval city walls have put Dubrovnik on UNESCO World Heritage Site since 1979. A warm and balanced Mediterranean lifestyle. Dubrovnik enjoys more than 250 sunny days in a year, moderate temperatures, and an interesting mix of rural and cosmopolitan feel. Coupled with rich Dubrovnik history, the warmth and hospitality of the Mediterranean people, full and quick access to decision makers and a European way of life. A unique mixture that you cannot see in other parts of Croatia. Dubrovnik is the home of more than 60-year-old Dubrovnik Summer Festival, the Libertas Film Festival, the Julian Rachlin and Friends Chamber Music Festival, the Historic Festival, the Early Music Festival, the Oyster Festival and the Festival of St Blaise. Dubrovnik has a large selection of restaurants ranging from budget restaurants to high-class ones. Total number of restaurants is around one hundred, all offering meat and fish specialties (there are some vegetarian restaurants also). Catering is available in all historic venues for M.I.C.E. purposes. Dubrovnik General Hospital and private polyclinics offer all kinds of medical and stomatological services. Stomatological services are particularly popular because of quality stomatologists and affordable prices comparing to EU prices. The Dubrovnik surroundings, coast and islands offer numerous possibilities for organizing excursions by boat or by bus, as well as walks and adventures that will enhance your stay in Dubrovnik. For a complete offer, please visit “Day Trips” section on Avansa travel website. Putting Dubrovnik on a list for this year’s incentive travel has become a common thing to do. Once an uprising M.I.C.E. destination, Dubrovnik now offers a variety of incentive arrangements. A blend of rich cultural and natural attractions, makes it easy to brew a perfect incentive tour. What matters, it’s never the same recipe. Incentive tours can be designed to boost your team’s productivity, to make your team stronger, or perhaps, just to award your team for a successful business year and let them relax and learn something new. After all, it’s all about your team! Dubrovnik can offer a variety of activities on most attractive places in the Mediterranean. 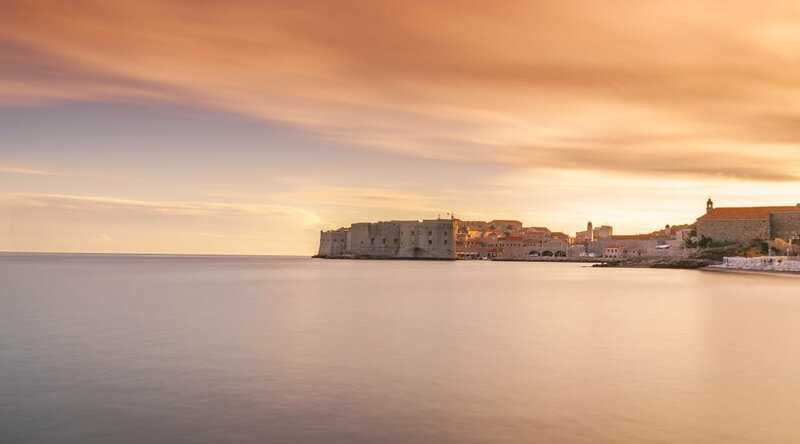 Image, you can climb a 1234m high mountain one day, enrich your life by visiting historical locations in Dubrovnik on another and spice everything up by exploring the depths of Adriatic on corporate diving trip. Organizing a gala dinner or an award banquet is one of the most effective methods of rewarding employees and boosting morale within your company. And whether you require a simple local venue, or a stunning stately home – Avansa Travel will guarantee to find you the perfect location. Our team will organize everything from table plans, decorations, and entertainment – to toast masters and bespoke menu selections. Stages adorned with your corporate logos can also be specifically designed to suit your requirements and your budget. In addition, spectacular sound and lighting systems complete with dynamic fanfares, introductions, overtures and musical themes can be prepared to add the finishing touches. Corporate events are organized individually, and we can offer advice and guidance on what would be most suitable for your needs. Designing events involves you, and events are based on both your budget and your specific requirements. Doesn’t matter if you have a small, intimate group or a corporate team of 50 (or more) people, we can adapt everything to suit your needs. Why separate business and pleasure when you can have them both on a corporate cruise. It is possible for you and your company to conduct all your business and meetings on-board ship. Don’t settle for less when you can have it all – leisure with plenty of time for the business at hand. A cruise is a great option to employers for incentives and rewards trips, and a sure way to motivate and inspire your sales team and other staff to achieve higher goals and objectives. If you have a different idea what to do on your corporate cruise, let us know. Entertainment options range from small personal bands and local singing groups to large pop or classical bandstands. No matter if you want a casual cruise or a themed one, our charter team can suggest themes or assist you in creating a custom theme or the cruise. Incentive trips are organized individually, and we can offer advice and guidance on what would be most suitable for your needs. Designing trip involves you, and trips are based on both your budget and your specific requirements. Doesn’t matter if you have a small, intimate group or a corporate team of 50 (or more) people, we can adapt all activities to suit your needs. Corporate diving gives you an exciting chance to dive into Adriatic instead of diving in your paper works. Try a new adventure and award your team for a successful business year. Scuba diving will take you into freedom and serenity. Choose between wreck diving, open water diving or even “discover scuba” trips where your team will learn some basic concepts and scuba skills before heading off on an open water dive. If corporate team sailing is not your cup of tea because you prefer leisure after a good business year, then you can choose a casual corporate sailing. What matters the most, previous sailing experience is not necessary. Your designated skipper will provide a safety orientation, delegate crew positions, show you how to work together and make you a better team. Skipper on each boat guides your guests through the basics of sailing so your guests may participate in sailing as they bond with other crew members and strengthen your business relationships. Well, there are always those who just enjoy observing and taking it easy, happy to sit back and cheer their crew on. For those leisure-lovers, cockpit is comfortable enough so no one gets wet! Corporate activities are organized individually, and we can offer advice and guidance on what would be most suitable for your needs. Designing activities involves you, and activities are based on both your budget and your specific requirements. Doesn’t matter if you have a small, intimate group or a team of 50 (or more) people, we can adapt all activities to suit your needs. Sailing is ideal for team building and Dubrovnik offers an excellent sailing experience for corporate sailing activities. The whole team has to co-operate to sail the boat, every member has an important role and our experienced skippers will make sure that no one dominates the team. Corporate team sailing involves challenges which simulate work environment and boosts up respect, co-operation, communication and teamwork. Dependable on the number of people from your company, we can organize a regatta or a casual sail with lunch on the island. Incentive activities are organized individually, and we can offer advice and guidance on what would be most suitable for your needs. Designing activities involves you, and activities are based on both your budget and your specific requirements. Doesn’t matter if you have a small, intimate group or a corporate team of 50 (or more) people, we can adapt all activities to suit your needs. At Avansa Travel, we understand that a product launch represents a unique opportunity to maximize publicity, promotional exposure and market penetration. For this reason, and because a new product can only be launched once – the production and execution must be perfect. In order to create such a spectacular introductory showcase, a detailed understanding of the product is essential. Our team will work tirelessly with your company to create both set, stage and display material that reflects the new product’s market niche. From print work and original exhibition stands, to wireless internet connections and decorations – every aspect of the event will be flawless. Product presentations are organized individually, and we can offer advice and guidance on what would be most suitable for your needs. Designing presentations involves you, and activities are based on both your budget and your specific requirements. Doesn’t matter if you have a small, intimate group or a team of 50 (or more) people, we can adapt all activities to suit your needs. 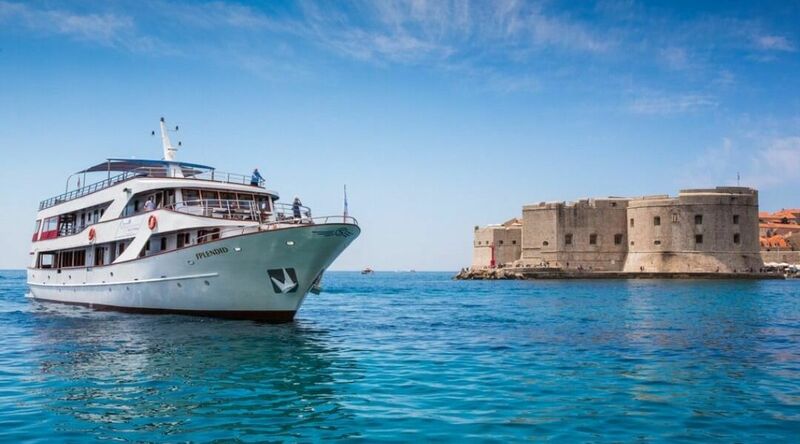 Ultimate experience events can be organized on board of authentic replicas of medieval ships and enriched by including various activities like island hopping, visiting a national park Mljet, or fine restaurants on coast. Ultimate luxury events can be organized on board of large luxury yachts and enriched by including various activities like island hopping, visiting a national park Mljet, or fine restaurants on coast. One of the best ways to strengthen your business bonds to your partners is through a very competitive environment that regatta offers you. Your team will learn how to work better and make your company stronger, and your partners will have something to look forward to for the next year. Under the skipper’s guidance, crews will be instructed in all aspects of sailing their fleet and there will be team exercises including individual duties such as helming, navigation and sail trimming. Teams can be made up from either six or eight people per boat. At the end of each day, all teams will meet to enjoy the evening at one of the taverns and restaurants amongst the islands. The sailing challenge is coordinated by experienced staff who are on hand at all times to ensure a professional and seamless regatta.